Last year I was full of praise for Listen, an unconventional, pared-down episode of Doctor Who that showcased the intellectual nature of Peter Capaldi’s Doctor while showing us Steven Moffat could still write. Heaven Sent, ostensibly the first half of this year’s finale, is the closest to that which series nine has got. A criticism I've levelled at Moffat’s Who before is that it focuses heavily on the Doctor to the detriment of other characters. Heaven Sent takes that to the extreme, by, well, not bothering with other characters. After being spirited away by the mysterious force behind the tragic events of last week’s Face the Raven, the Doctor found himself in a castle seemingly designed to terrify him – all by himself. What follows is an episode that feels both intriguingly original and like the kind of episode Steven Moffat does best (after all, we can’t complain about his crap writing of women if there are no women…). Like Listen, it shows off the problem-solving academic side of the Twelfth Doctor, and like Listen, it uses high-concept psychological horror rather than physically scary monsters to be one of the creepier episodes of the series (though the monster that does appear is great, it's the horror of being trapped in this castle on an eternal loop that really stood out for me). Yet unlike Listen, it doesn’t feel reliant on Moffat’s oft-used tropes (not that this was too much of a problem in that episode). The sheer uniqueness of this episode deserves a certain amount of praise – and it’s not the first time I’ve said something along those lines regarding series nine, which has been fantastically bold in terms of trying out new kinds of story, from very political thrillers to found footage horror (though not exactly successful in that case…). 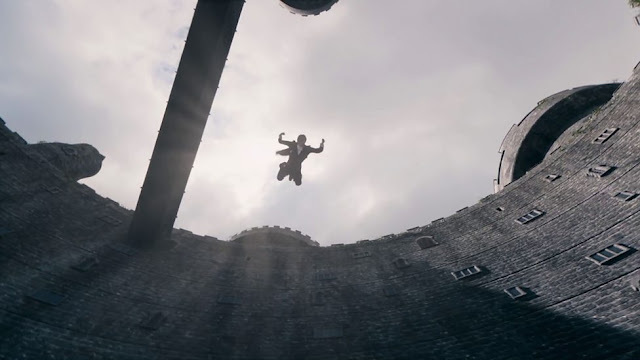 What didn't work for me in comparison to Listen is the thematic depth; Listen took in several settings united by an exploration of fear, that of both the Doctor and the characters around him, whereas this episode's portrayal of the Doctor’s stay in the castle as a journey of grief, despite some great lines (“The day you lose someone isn’t the worst. It’s all the days they stay dead.”), didn't feel quite as strong to me – the Doctor dealing with the loss of a companion is ground well-trodden by recent Who. 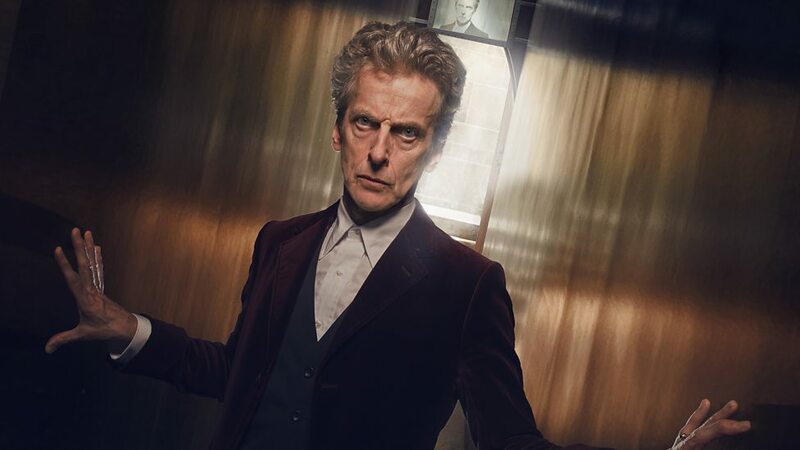 Heaven Sent is, however, an incredible episode in terms of showing off the Twelfth Doctor’s problem-solving nature – watching him pace the castle solving the riddles in front of him is a delight, and it’s unlikely any Doctor other than Capaldi would pull this off quite so engrossingly. The use of the TARDIS as a Sherlock-esque mind palace is a very nice way of getting into his head and finding intellectual pleasure in observing the working-out of a problem that can’t be solved by pointing a sonic device at it. It’s an episode that, despite its simple concept, is visually and aurally engrossing, thanks to director Rachel Talalay and composer Murray Gold – his score for Heaven Sent is unlike that of any other episode, giving it an operatic grandeur. The music combined with Will Oswald’s editing of that big montage towards the end makes for a breathtakingly intense climax. It’s also an episode rich with wonderful details, from the bird fairy tale and its double meaning as a reminder of Clara’s avian fate to the design of the citadel reflecting the cogs of the confession dial. Though I would have liked more clarity as to what a confession dial actually is – if the Doctor hadn’t made his confession yet, why'd he been carrying the dial around so preciously? If he had no idea that the castle was the dial's interior, then what did he think was inside it? I don't like to be pernickety, but when the logic issues are this notable, as they often are with Moffat, it does detract from everything that's great about an episode. It is interesting to note the influences that have found their way into Heaven Sent. I’ve seen some comparisons to a Dante-esque journey into Hell (if anyone fancies writing a proper essay on that parallel, I’m up for reading it), and some saying the twist resembles that of the horror film Triangle. For me, the opening monologue felt very reminiscent of recent horror It Follows – perhaps a bit too jarringly reminiscent, to be honest, despite Doctor Who’s grand tradition of nicking stuff from popular movies. I wouldn’t be surprised if Steven owns the Blu-ray. I have to mention the continuity-heavy ending. So we’re back on Gallifrey. 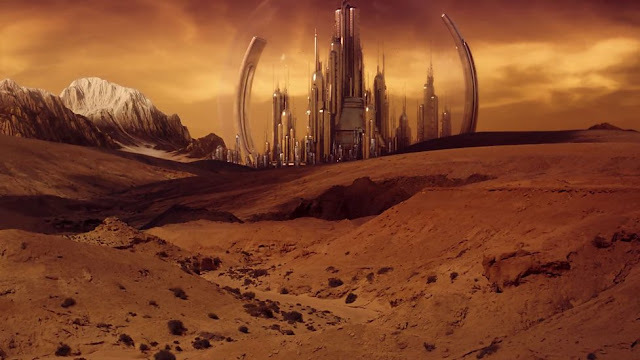 It’s perhaps a shame that the Doctor got to Gallifrey as a result of being pulled into a Time Lord trap rather than finding it himself, but still, there’s a lot of potential for his confrontation with his own race. Plus, I’ve seen some interesting theories going around about that final line. It could all go either way, really – Moffat playing around with the Doctor’s past is always a dangerous game! But I do like the reveal that the hybrid isn’t part Dalek – I had thought that anything being ‘part Dalek’ is against everything the Daleks stand for. Back to the episode at hand – I didn’t love Heaven Sent quite as much as some portions of fandom seem to have (the Zygon two-parter is keeping the top spot for me this series), but it’s a stunningly original episode. Yes, it’s another Doctor-centric story from Moffat, but with the brave concept and the showing off of Capaldi’s strengths, it earns the right to be. Not only does it allow all involved (Moffat, Capaldi, Talalay and Gold in particular) to do what they do best, but it highlights one of series nine’s greatest strengths – pushing the boundaries of Doctor Who.